Why so many empty Manhattan stores? Daily Mail takes a look at some of the reasons that storefronts remain empty and more and more are joining them. Part of what made Manhattan neighborhoods what they are is mom and pop. 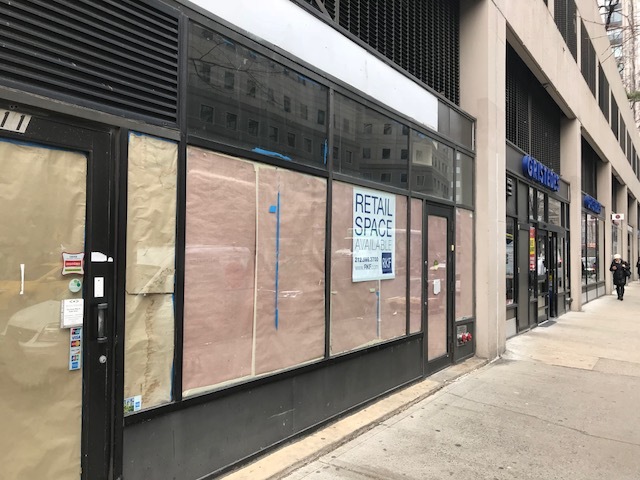 Most mom and pop are being forced out due to high rents but even recently, Petco closed a store on Manhattan’s upper west side with the reason being given that the rent was too high. This store was only open less than 2 years. 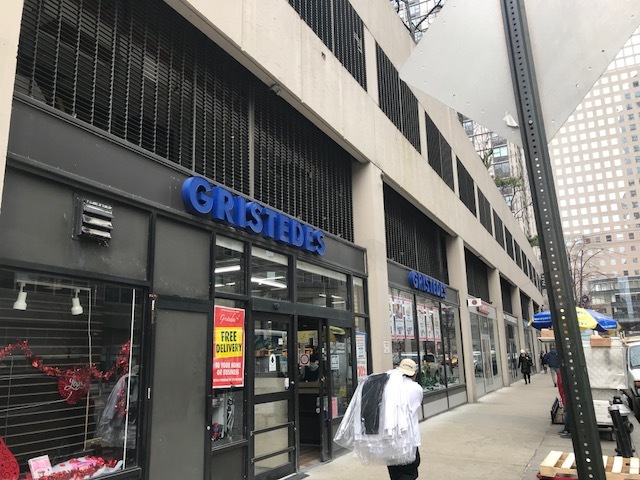 Gristedes is pulling out of it’s 21 South end location in Manhattan’s Battery Park City. They are also closing their FiDi location as well. Due to increased competition including Whole Food’s, Eataly and all of the shops at Brookfield and Westfield, the reality is that the downtown customer has much more choices in food markets than when these stores opened many years ago. 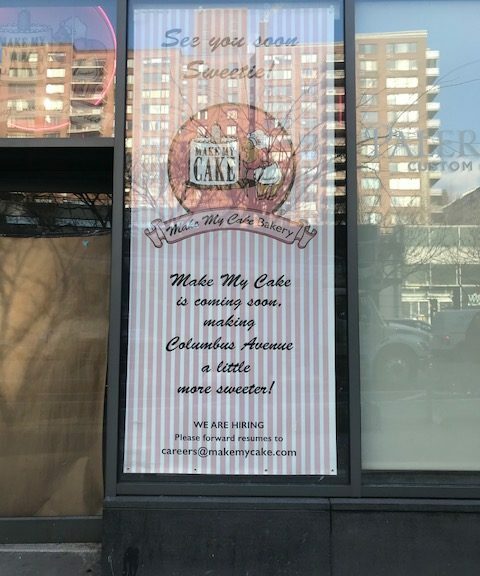 Make my Cake will close their location on West 116th street and St.Nicholas avenue after 22 years due to rising rents. 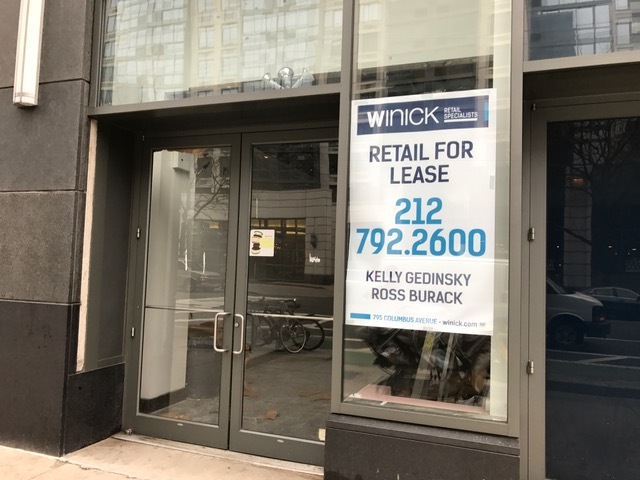 However, they will open a new location on Manhattan’s Upper West side at 795 Columbus avenue in the Columbus Square shopping center. They will take over the space that was occupied by Crumb’s. 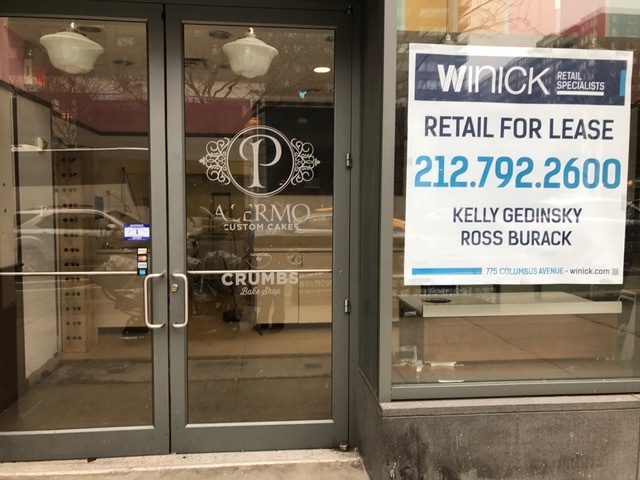 In one of the only retail locations on Manhattan’s Central Park west, a cleaners has just put signage for a soon to be opened store. The location was previously rented by a CPA that was there for many years. 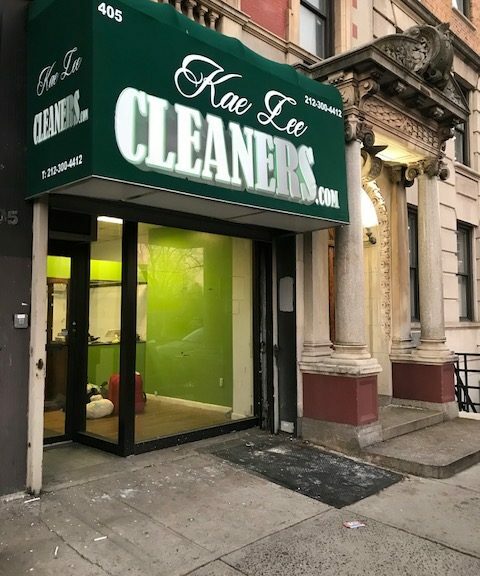 The cleaners will be two doors down from a new deli that opened last year on Manhattan’s upper west side near West 100th street. In between the two stores, there is one more empty storefront. Crumbs and Yogurtland have vacated their Columbus Square locations recently. Could this be the end of era? Are Upper West siders no longer eating yogurt and cupcakes? The Yogurtland store that has closed on the Eastern side of Columbus avenue just south of 100th street in Columbus Square. 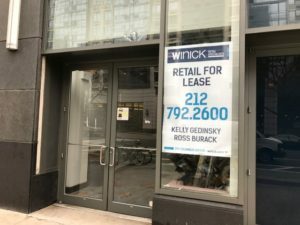 According to LINK, Eastern Mountain Sports will be closing their Upper West side location on Broadway at the corner of West 76 street by February 24th. The 15,000 square foot store was opened in the fall of 2011. In other related news, Cafe Lalo on West 84th street may also close. 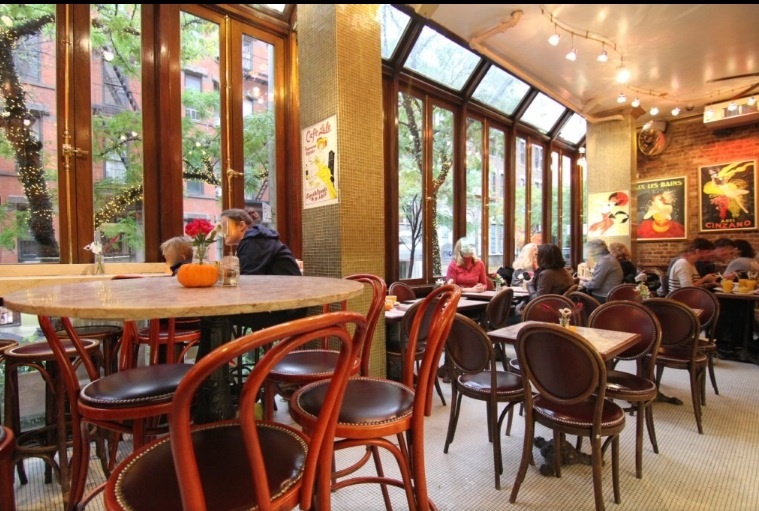 The site of the famous scene with Tom Hanks and Meg Ryan in “You’ve Got Mail”, between Broadway and Amsterdam, serves nearly 100 types of desserts. According to the co-chair of CB7, the owner told him business is terrible but he does not want to close. The Pathmark on Harlem’s 125th street is closing by this Saturday. The store which opened with much fanfare in 1997 has little left on its shelves at this point. 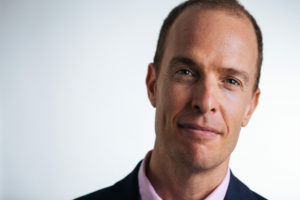 It is unknown whether the closure is a result of Extell’s purchase of the site for $39 million or the bankruptcy of the Pathmark’s parent company-A&P. Representatives of the former owner and the new owner have said it was not a result of the sale however. This closure though leaves many residents with no supermarket to do their shopping. It was estimated the store served 30,000 customers per week. A new Whole Foods is opening up late next year or early 2017 but that will a long walk for residents of East Harlem and the prices may not be affordable for many in the area. Is Toys R Us leaving Times Square?